It is a great time to be a Wildcat! Students are enjoying school, our sports teams are competing at high levels and all the fun that comes with winter weather will soon be here. With that being said, our students are showing their talents in and outside of the classroom. We finally received the 2018 MAP scores from the state and while there is room for improvement, the data shows that students are progressing across all grade levels. Outside of the classroom, student talents have been and will continue to be on display during the district's annual Christmas concerts. Our Elementary School students put on an excellent performance on December 3rd and I expect the same from our High School band and choir students on December 13th. Looking forward to the Spring Semester, I need to inform all community members of a change to our 2018-2019 district calendar due an oversight made during the 2017-2018 school year calendar. 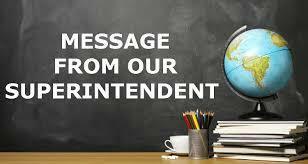 Our district has been notified by DESE, Missouri Department of Elementary and Secondary Education, that due to the district not making up one early release day during the 2017-2018 school year, the district fell short of the required days of attendance for last year’s calendar. While state rules for district calendar’s will be changing beginning next school year, old rules required districts to identify how many days of attendance a district would be in session for a calendar year and have at least 1044 hours of classroom instruction if they attended less than 174 days of school, per Section 171.029.21 RSMo. The district met the 1044 hours of classroom instruction but fell short of the required 4 daily hours for one day last school year. With the guidance of DESE, the School Board and I, have chose to use the first day of the 2018-2019 school year, August 15th, to replace the day missed. By doing this, the 2018-2019 school calendar year will be short one day. To make up that shortage, school will be in session on January 2, 2019 (first scheduled snow make up day). This will change the length of our Christmas Vacation by one day. School will not be in session from December 20th to January 1st. There will be school on December 19th, with students being released from the elementary at 1:00 pm and JH/HS students being released once buses arrive from the elementary school. Before I end this letter, I want to invite all community members to attend the Community Forum to discuss the potential of our district moving to a four day school week for the 2019-2020 school year. The forum will take place on Wednesday, December 12th in the Greenfield High School Gym. The forum will begin at 6:00 pm.